Sea Otter is the traditional opening weekend of the North American biking season and where brands launch product. 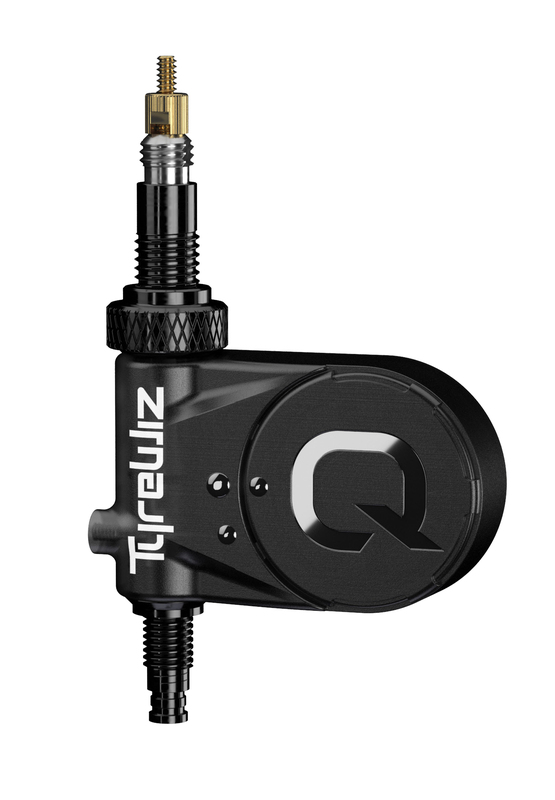 One of the more interesting new products is from Quarq and it’s a real-time tire pressure monitor called TyreWiz. Just like the system in your car, it reads pressure and reports it to a dashboard. Knowing that bike manufacturers have monitors all over when engineering the next model, I hope we see more of these sensors. Sure, it’s geeky, but I’d like to know what stresses are on my frame; instead of just power. 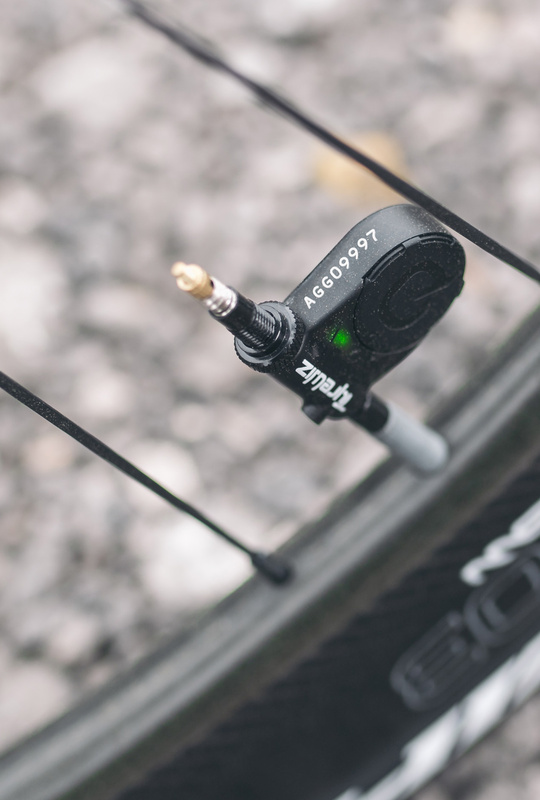 To TyreWiz and from someone obsessed with that topic, it’s the first-of-its-kind tire pressure sensor for mountain and road bikes. It’s lightweight, durable, and a form factor like the cadence or speed sensors on your bike now. The accompanying TyreWiz app uses the pressure data to deliver personalized recommendations and pressure alerts. Riders now have access to highly accurate real-time tire pressure data to measure rolling resistance, traction, tire wear, and rider comfort. When I get a demo bike in, part of the review process is how the bike performs at different pressures and on gravel specifically, the perfect pressure is elusive. And, I expect a sensor is far more accurate than pinching the tire. TyreWiz works with tubed or tubeless tires, and even tires with anti-flat sealant. For a Presta valve, just unthread the existing valve core with the included wrench and thread the TyreWiz sensor into the valve stem. The sensor, powered by a CR1632 battery that will last around 300 hours, can be paired quickly with a smartphone or head unit with ANT+ or Bluetooth Low Energy radio capabilities. in the smartphone app for iOS and Android. Broadly compatible with tires that use a removable Presta valve core.